The White-lipped Peccary, known locally as Tayassu pecari, is native to Central and South America. It is so called because of the white fur around its mouth, chin and lower cheek. In size and shape the White-lipped Peccary is like a domesticated pig, with a large head, thick neck, long snout and short tail. Adults can be up to a metre in length (head and body), with a tail up to six centimetres long, and weighing up to 40 kilograms. Their skin is covered by long black or dark brown hair. 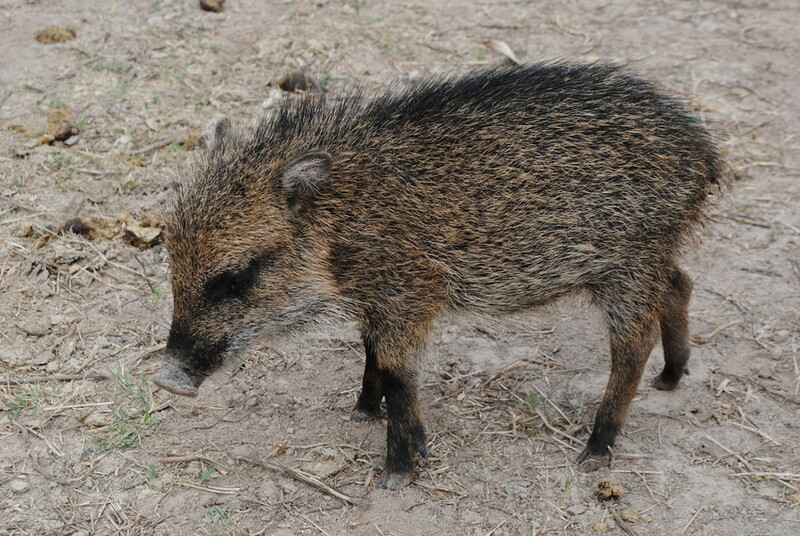 Young peccaries have grey, reddish or dark tan coats, sometimes with a white throat. The White-lipped Peccary feeds on fruit, nuts, snails and sometimes fish. It prefers to stay close to water sources where fruits are abundant. The species is mostly diurnal (active during the day), forming large herds of 50 to 300 or more individuals. Herds of peccaries produce loud sounds by screaming and cracking their teeth, which can be heard from hundreds of metres away. They have poor vision, and avoid humans. Following a pregnancy of 158 days, females usually produce up to two young. White-lipped Peccaries live throughout Central and South America, from Mexico to Argentina, and use a wide range of habitats including tropical rainforest, wet and dry grasslands, tropical dry forest and mangroves. They occur at heights of up to 1,900 metres above sea level in the eastern Andes. IUCN’s last assessment estimated that numbers of White-lipped Peccary had fallen by nearly 30 percent in the past three generations. The main reasons for this decline are habitat loss and hunting. Because of the large numbers of individuals in a herd, peccaries need a large home range to thrive. They depend on large protected areas of wild habitat, and need up to 120 square kilometres to have enough food. 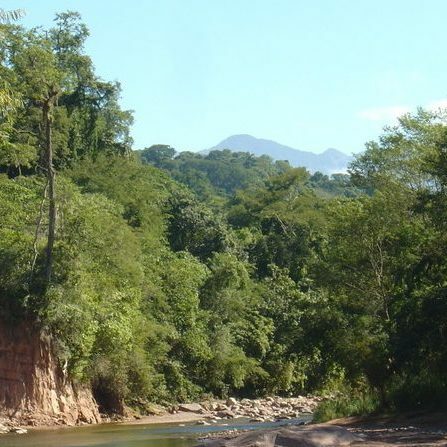 Deforestation and fragmentation of the forest reduces food sources and tree cover. With fewer places to hide, the peccaries are vulnerable to humans who hunt them for meat. Because they move in large herds they are easy to spot and hunters can kill many individuals at once. Emmons, L.H (1997). Neotropical Rain Forest Mammals. A field guide, second edition. The University of Chicago Press, Chicago.